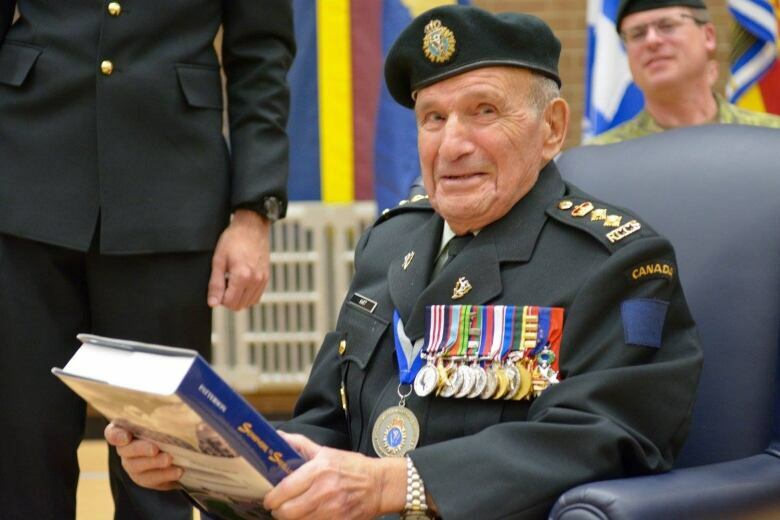 Funeral services for Honorary Colonel David Hart, Canada’s longest serving military officer and a hero of the 1942 Dieppe raid, will be held Sunday in Montreal. He died Wednesday at 101. 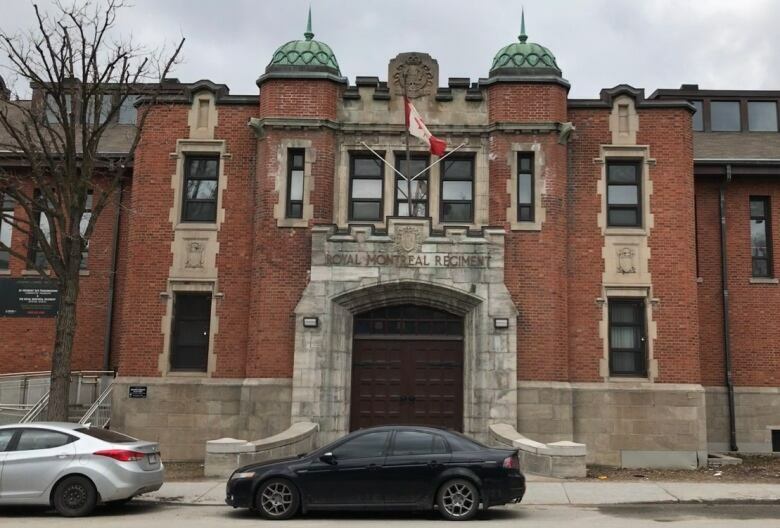 His passing is felt far beyond the walls of the Ste-Catherine Street Armoury in Westmount, Que., where he was the soul of the 34 Signal Regiment, but the void his death leaves behind is perhaps most noticeable there. Inside the armoury, Col. Hart is immortalized in a painting by Montreal artist Adam Sherriff Scott. The artwork, which hangs on the wall of the mess hall, captures a moment of bravery as the Canadians were driven back by heavy German fire at Dieppe. His military career was remarkable for many reasons, not least of which was his 81 years of service. But what stands out is his heroic act in the Second World War, which ended up saving hundreds of Canadian lives. During the bloody Dieppe raid, Hart was a signaller. While heavy shell fire rained down, Hart kept a cool head and stood fast, radioing crucial information between headquarters and the frontline. Hart once described the moment that he convinced headquarters to let him cut off communication and switch frequencies in order to relay retreat orders to troops on the beach. “I knew I had a frequency I could contact them with if I could get off the air. Discipline was very rigid those days as far as using radio. I had to ask for permission to get off the air and was told ‘no’ because I was the only communications forward and back,” he said, in an interview with the Canadian army. On Aug. 19, 1942, 5,000 Canadians landed at Dieppe, but 907 were killed, 586 wounded and almost 2,000 were taken prisoner in what is considered a low point of the war. For his act of courage, Hart was awarded the Military Medal for bravery. Despite Hart’s achievements, those who knew him said he was a humble man who rarely spoke about himself. Stéphane Pierre, who is retired from the military, used to be a member of the same regiment. “Col. Hart was a person who always had time for you, from the lowest private all the way to the commanding officer. When he spoke, people listened,” Pierre said. Pierre said he wasn’t particularly close with Hart, but the colonel still had a profound impact on his career. Hart’s honorary title marks his continued involvement with his regiment. Without Hart’s support and guidance, Pierre said might have never volunteered to go on tour with the United Nations. Hart also touched the life of Chris Weicker, a retired colonel of the armed forces communication and electronics branch. 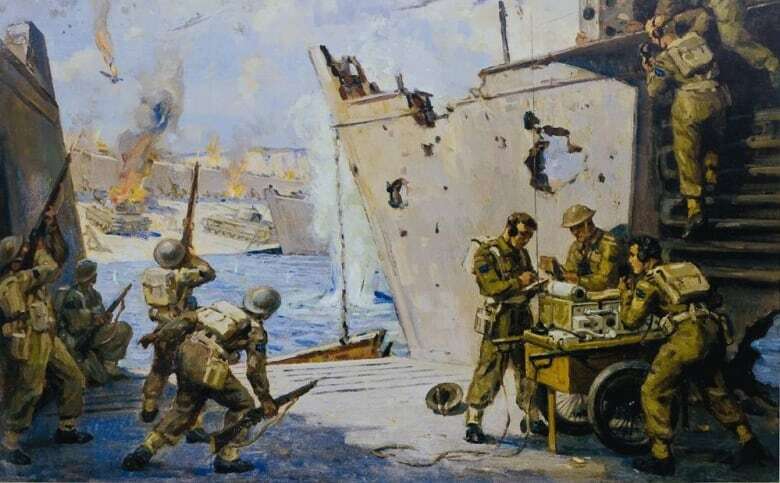 Weicker said Hart never wanted to be in the limelight, but when he found out that Hart didn’t have his own copy of the painting honouring his bravery at Dieppe, he ordered one as a surprise. “He was so happy,” Weicker recalled. Weicker has a second copy of the painting, which hangs at his home in Victoria, B.C. “I think of Col. Hart quite often,” Weicker said. On the 75th anniversary of the Dieppe raid in 2017, Hart made the trip to France one last time. 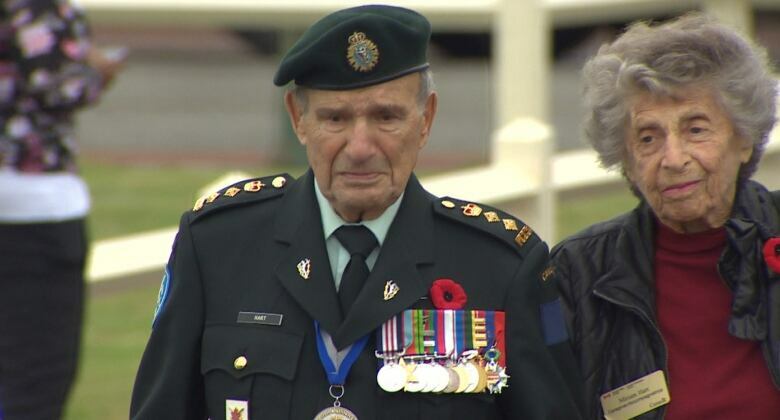 He walked the beaches arm in arm with his wife. He was the last surviving member of his regiment who had been at Dieppe. 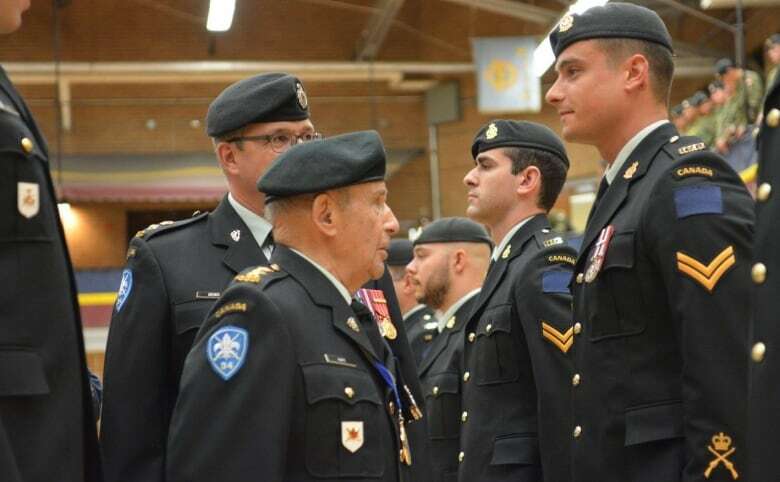 Captain Pierre Leblanc, with the Department of National Defence, said that what made Hart special was not just his accomplishments, but the way he made time for everyone. “When he entered a room … you could feel his presence,” Leblanc said. While his loss leaves a void at the 34th Signal Regiment, those who knew Hart say his legacy will live on through all the lives he’s touched. Hart is survived by his wife, his son and his sister. Real versus fake Christmas trees: Which one's greener?